I don’t mind you callin’ me a Christian. Christians can still be cool like a sixpack on a hot day in June. But don’t you ever call me crazy, cuz that would make me out to be a fool. Oh I don’t ever want to be called crazy, cuz I am nobody’s fool…. We’ll you are thinking I’m the crazy one, but this is also the title of the message this morning. I am preaching on Hebrews 11:8-17, and in one of those rare moments when I stepped back and took a look at what was really happening in those verses, I just had to stop and say, man they were crazy! And then I asked, would I have done that? Would I have done any of that? No Way! 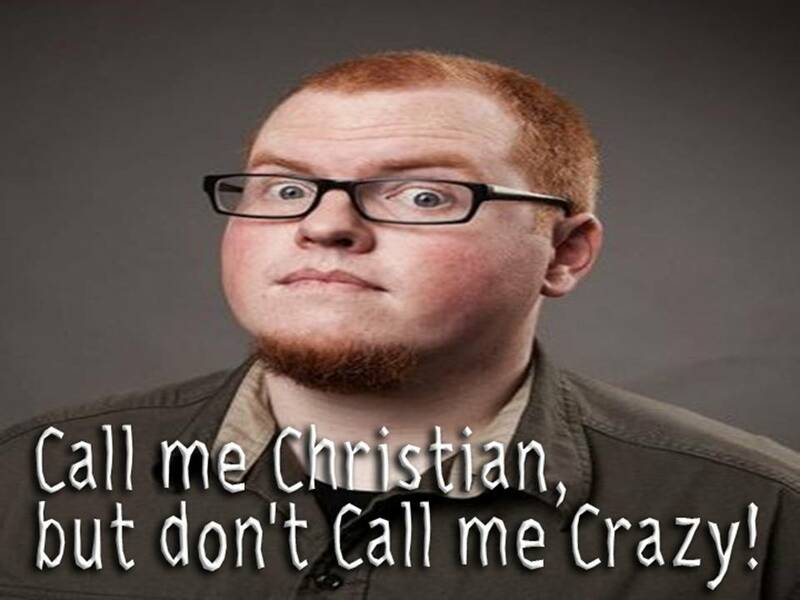 Call me Christian, but never, ever would I be that crazy! But before we explore this different angle of Hebrews 11, I want to take you back to the Garden of Eden. You may not see it at this moment, but hopefully it will hit you like a ton of bricks before you leave. Satan works his power of death in your life when he gets you to doubting God’s promises. Did you hear that? When you doubt God’s promises, when you doubt Christ’s presence, when you doubt Christ’s love and provision for your life, you are playing in to Satan’s power. Well, God told me that is not acceptable to him, because I put “sensibility” before Him. That is not faith. Faith is not sensible! We will see that in a moment. So today, I am preaching at all you “Pragmatic Christian” types today, but I want you to know, I am one of you. When it comes to being a child of God, being accepted by God, only one thing works! FAITH! Only one thing allows you to believe Him and His promises to you, FAITH! And Faith can never be pragmatic. Faith can never be sensible. Was it sensible to stay in the boat? Faith isn’t sensible because it transcends our fleshly senses to bring Heavenly Truth to reality here on earth! Christ lives! He lives in me! Chief of sinners though I am, He lives in me! Faith doesn’t happen because you wish or plan it! Faith is not like losing weight. You can’t follow this, eat that, exercise this and presto, you have faith. Faith doesn’t work according to a formula for your benefit. It doesn’t make you a superior Christian. Faith is for God and His promises! Faith is toward God and His promises! Faith always answers a call of God because you want to see Him! Then faith grows as you believe His Word! 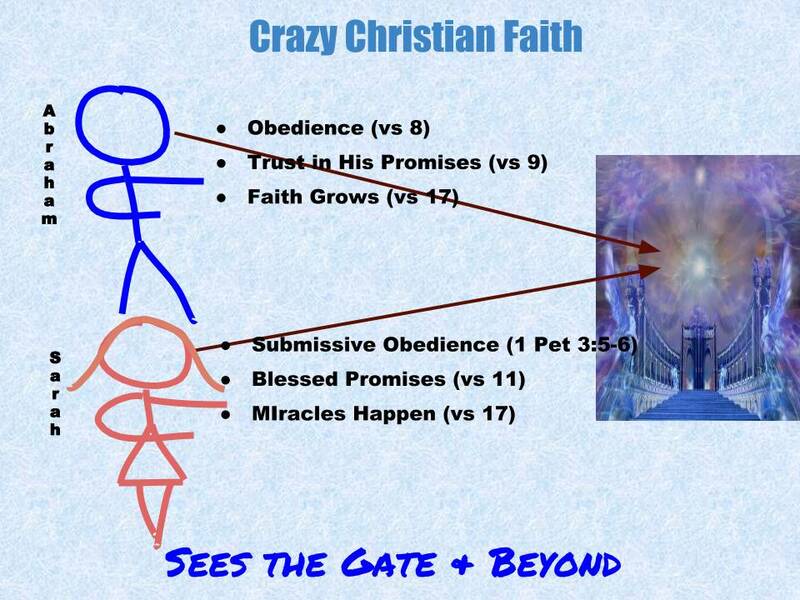 And yes, faith must be crazy from the world’s point of view! Think back on your life. How did you come to faith in Christ? Did you feel all emotional and believe? How did that work out for you? 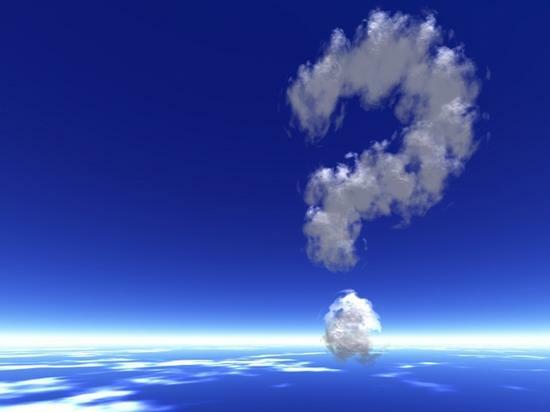 Did your belief wax and wane depending upon what you were going through? 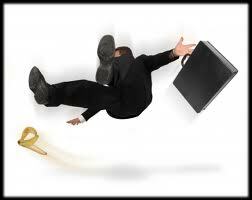 Was there a time in your life where the pressures of life got in the way of your faith in Christ? Was there something that happened that made you stop and examine where your were with Him? Was there some decision or choice you had to make? What was the outcome of your decision? For me, my faith grows more when things go wrong; when I am forced from my comfort zone. I have had several smack-down times in my life where I had to choose who I was going to listen to, who I was going to believe. There have been times where I made the wrong choice, but then God kept calling me. I am going though one of those times even now. I learned that for faith to grow, I must stop and listen to God, and then re-confess my belief in His promises to me! I have a passion to see Christians experience the Life that God wants us to have by CRAZY faith! 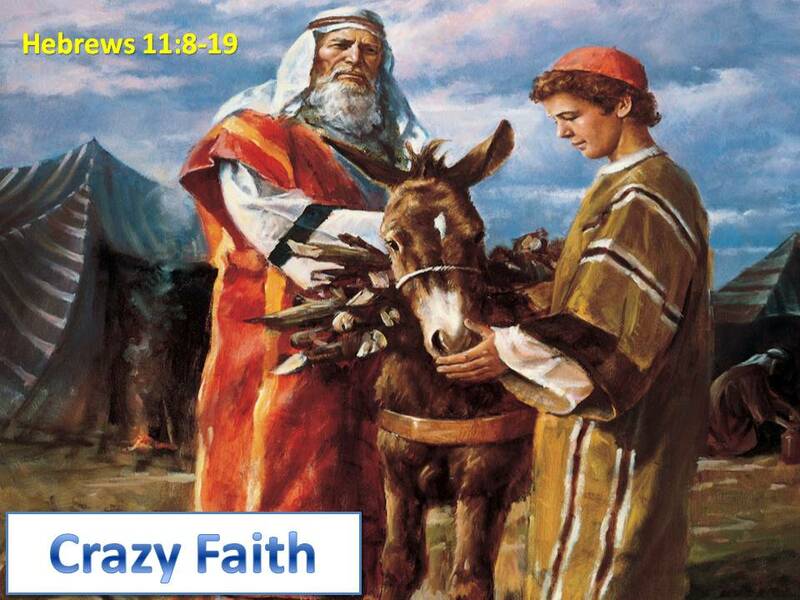 Crazy Faith brought salvation to Abraham! I have visited with Christians who seem to have this weight of regret over their life. Decisions they made, wrong things they did, and after 10, 20 30 years of being a church goer, they feel as if they are further away from God than when they first felt that tingle of God’s work in their life. I think we are looking at God the wrong way. Instead of letting our regrets drown out his voice and presence, we should take some time to visit with God about those regrets. We should really take time to see how He can use those regrets to grow our faith in Him. He speaks to us and affirms His promises even in the midst of our mistakes! Abraham wasn’t anyone special. He wasn’t a privileged blue blood. God spoke to Him and made a simple request. I want you to go to a new land. Abraham wasn’t exactly a picture of strong faith either. He had his doubts. He didn’t go to the land at first, but went half way. Even when he got to the land, there were two times when he lied about Sara being his wife, because he did not trust God to protect him from those who would murder him to take her. Even Sara had a problem trusting God. She got tired of waiting for a child, so she concocted a scheme to have children with Hagar her handmaid. In effect she whored her handmaid to her husband to have children. Abraham, the great man of faith(?) went along with her plan. All the while, God kept calling, and Abraham made choices, choices of doubt or belief, or death or life! Perhaps you have struggled as I have at times. We make wrong choices. We figure God has forgotten us, so we have to rely on our own self to get out of trouble. What does God do? I don’t know about your situation, but God keeps calling me, keeps assuring me. And as long as I don’t selfishly wallow in my regrets, my faith grows. What are some things we can learn from Abraham and Sarah? 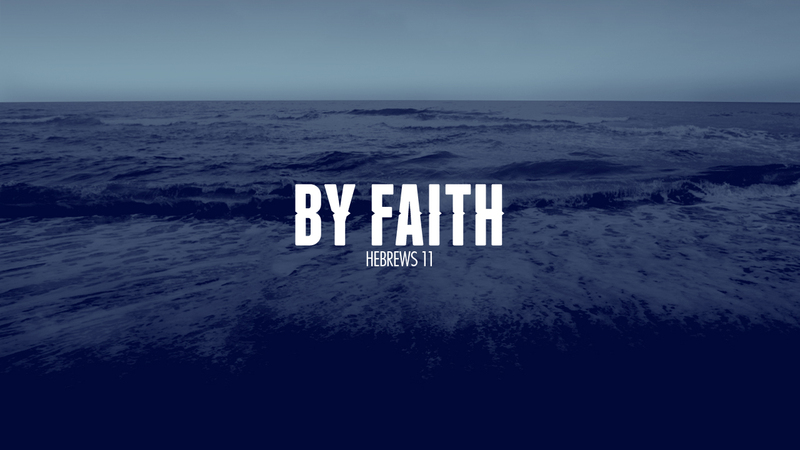 Let’s look at Hebrews and discover how our faith can grow, and not be swallowed by regrets. 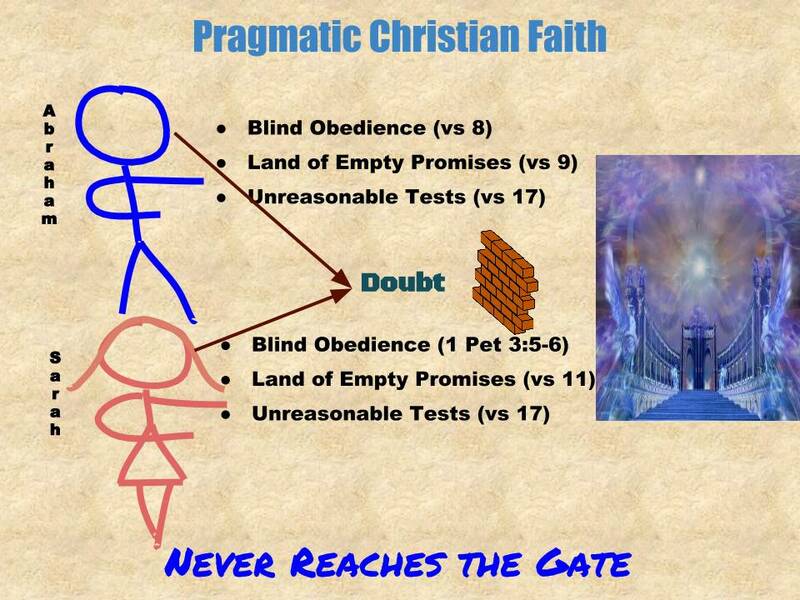 The Pragmatic, “obedience for the sake of obedience” approach to Christianity doesn’t work if you are counting on reaching Heaven. That is a fleshly approach to God. His word says that no one can please God in the flesh. The only way to please God is BY FAITH! By Faith is Πίστει. We see this phrase over and over in Hebrews 11. Responding to God is not simply a matter of doing this or that. He doesn’t want robotic service. He has that in the angels. He wants people to respond to Him because they realize who He is. This is what Hebrews 11:6 is all about. You will never, never be accepted in God’s presence simply because you did this or that, or because you never did this or that. The Word says without Faith it is impossible to please (or be accepted) by God. Faith is not an abstract force that you either have or don’t have. Faith is simply seeing God. Faith is simply having your hopes in God. It is a heart thing. Faith allows the almighty God to capture your heart. Abraham obeyed, not because he wanted to be a good boy, or because he feared Divine lightning bolts. He obeyed because by faith he saw God and that allowed God to capture his heart. It wasn’t his brain, because God doesn’t make much sense to “intellectuals”. God wants your heart. He is all about passion! His heart is full of compassion, and He needs your heart in order to reveal Himself to you. 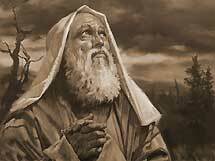 Abraham Believed and His Faith Grew even in the tough times, even in the “regret” moments! Abraham made a decision to give this invisible God his heart. It did not make sense to leave the culture of Hur and go to live among the devilish people of Canaan. It was not the intelligent thing to do, nor was it a safe thing to do. But Abraham did it anyway, because He had seen this almighty God, and his heart was captured because of faith. By Faith he obeyed God’s call. Faith initiates a desire to follow God, and to listen to what he directs. Faith makes God’s Word substantial, and worth obeying. By Faith he went to live. Faith enables to settle down in the presence of this Holy God. It empowers His friendship with your life, even though you make mistakes and stumble along the way. Faith brings your heart and passion into a comfortable relationship with God. By faith you endure, even though the promise is not received. Remember that faith empowers you to see the truth and reality of God! Even if all your hopes aren’t realized in this life, your faith sees them as true in the life to come! Faith will result in being a stranger to those who walk by sight. Once your heart is captured by God, you will never be satisfied with the comforts of this world. You have seen the glory, and it becomes all-important to you. 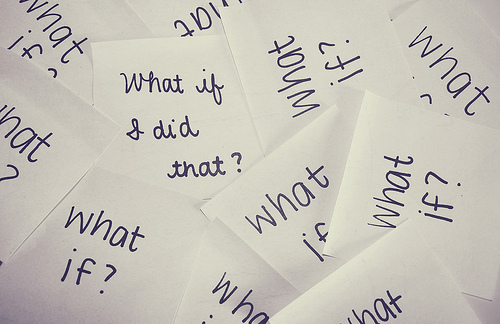 What Happens when you Make a Decision to Have Crazy Faith? Crazy will give birth to more crazies! God is always growing and abounding. Just look at our expanding Universe. It is huge, yet God holds it in His hand. You start believing in His power and promises, and you will give birth! When you believe God’s Promises even when everyone else thinks you are crazy, He says My Name is on you! You see it through the tears. You don’t need to go there to see it, for you already have it in your heart! “Did God really say you should not call your husband ‘lord’?” Demonically influenced destructive nonsense.